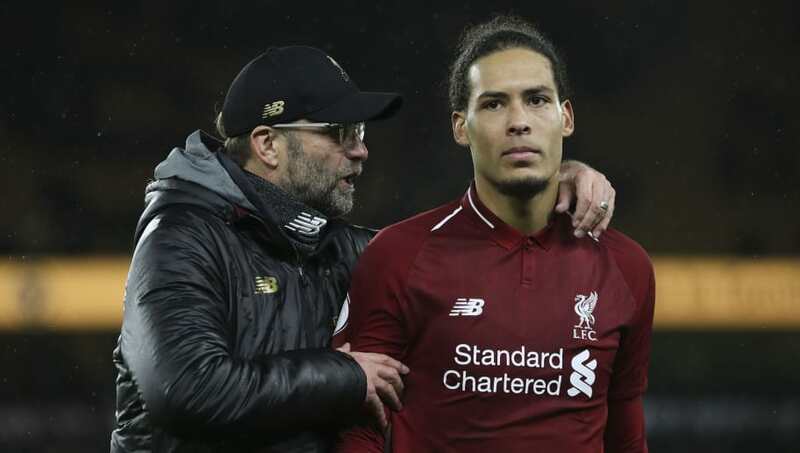 ​Liverpool ace Virgil van Dijk has claimed that Jürgen Klopp's ability to provide both affection and discipline is integral to the side's high levels of morale. The charismatic German manager has become a favourite with fans and neutrals alike since taking over at Anfield in 2015, with his side now on the brink of winning their first ever Premier League title after a stunning start to the 2018/19 campaign. The Reds currently lead Manchester City by seven points (ahead of City's game against Huddersfield), and have lost just once so far this season. Discussing his manager's approach to man-management, via the Mirror, Van Dijk said: "I remember talking to the manager about the transfer fee ​Liverpool paid for me and he just said, ‘Listen, all good things cost a lot of money’. I thought it was a great thing to come out with - and it shows why Jurgen Klopp was one of the main reasons I came to this club. "I remember meeting the boss for the first time. We had a really good talk and he just gave me the right confidence. There is something about Klopp that makes him stand out. It’s not just his energy, I think it’s his man- management. He makes you feel great. He is genuinely pleased to see you in the morning and that has a big effect on the players who come in. "Just look at the hugs he gives us all at the end of games. It is only a bit of affection, something very small, but it makes you feel great. And yet, he can be stone-hard the next day and put you in your place when you have made mistakes. He will do that in front of the entire squad, but we all accept it because we know it is not something personal. Meanwhile, ​Fulham new boy Ryan Babel has claimed that the Reds didn't give him the support he needed to be a success at Anfield. The Netherlands international spent four seasons with the Merseyside club, but struggled to find consistent form during the spell - scoring just 22 goals in 146 appearances.